The plans are speculative, but Mr Socrates, who now lives and works in Cardiff, is planning to show his proposals to States Members in the future. 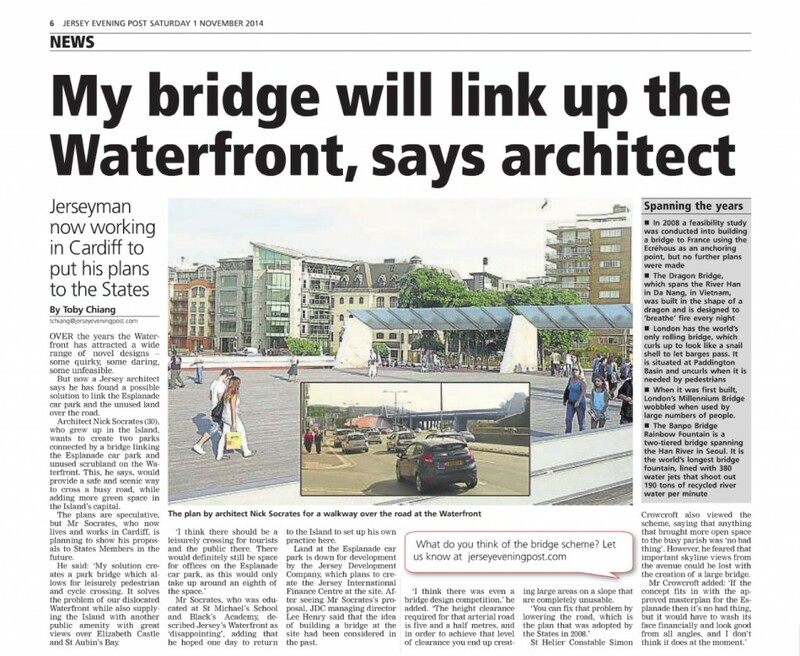 He said: ‘My solution creates a park bridge which allows for leisurely pedestrian and cycle crossing. It solves the problem of our dislocated Waterfront while also supplying the Island with another public amenity with great views over Elizabeth Castle and St Aubin’s Bay. 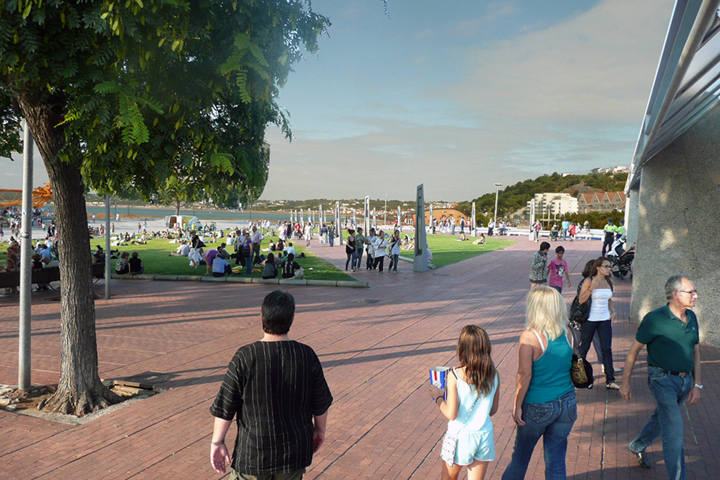 The plan by architect Nick Socrates for a walkway over the road at the Waterfront ‘I think there should be a leisurely crossing for tourists and the public there. There would definitely still be space for offices on the Esplanade car park, as this would only take up around an eighth of the space.’ Mr Socrates, who was educated at St Michael’s School and Black’s Academy, described Jersey’s Waterfront as ‘disappointing’, adding that he hoped one day to return to the Island to set up his own practice here. Land at the Esplanade car park is down for development by the Jersey Development Company, which plans to create the Jersey International Finance Centre at the site. After seeing Mr Socrates’s proposal, JDC managing director Lee Henry said that the idea of building a bridge at the site had been considered in the past. What do you think of the bridge scheme? Let us know at jerseyeveningpost.com ‘I think there was even a bridge design competition,’ he added. ‘The height clearance required for that arterial road is five and a half metres, and in order to achieve that level of clearance you end up creating large areas on a slope that are completely unusable. ‘You can fix that problem by lowering the road, which is the plan that was adopted by the States in 20013: Si Helier Constable Crowcroft also viewed the scheme, saying that anything that brought more open space to the busy parish was ‘no bad thing’. However, he feared that important skyline views from the avenue could he lost with the creation of a large bridge Mr Crowcroft added: ‘If the concept fits in with the approved masterplan for the Esplanade then it’s no bad thing, but it would have to wash its face financially and look good from all angles’.